How tall was James Garner? American actor, James Garner was born in Norman, Oklahoma, USA (April 7, 1928). What are the most liked James Garner’s movies? What is James Garner’s first movie? James Garner’s first movie is “Toward the Unknown” which was filmed in 1956. What was the most popular James Garner’s TV series? Which award did James Garner win? In 1986, 58th Academy Awards, he nominated “Best Actor” for “Murphy’s Romance”. Also he won three times Golden Globe Award. What are James Garner’s nicknames? “Slick” is nickname of Garner. What are James Garner’s Occupations? 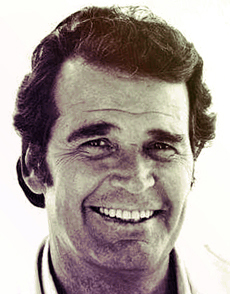 James Garner is an actor, comedian and voice artist. How old was James Garner when he died? James Garner has died 86 years old due to acute myocardial infarction on July, 19 2014 in Brentwood, Los Angeles, California. He was married Lois Fleishman Clarke from 1956-2014.